Debt is Scary. Don’t Let It Ruin Your Halloween. It’s Halloween! That time of year when kids of all ages get to play with fears of monsters, ghouls and spirits from the underworld. Halloween is a great part of growing up and learning to face fears and uncertainty. But there are other scary things to deal with as we get older and nothing (not even paranormal activity) causes as much stress as fears regarding money and debt. In a country with a 16 trillion dollar national debt, there is rampant fear; fear that there isn’t enough to go around, fear of losing what we have, fear for our children’s future or the fear of what is ahead for us all. No matter how much you earn… debt is a scary thing. Everyday people with millions of dollars in assets to people with no personal possessions, deal with the fear of debt and what to do when they cannot keep up. It is just a fact of modern society. If you have “want”, you will most likely have debt because there isn’t a stack of money lying around to buy a house, the car, the ring or that new guitar. Most likely, you will use the mechanism of debt to get the things you want. Add medical bills to the mix and the uncertainty of one’s health and the fear can grow to horrific proportions. 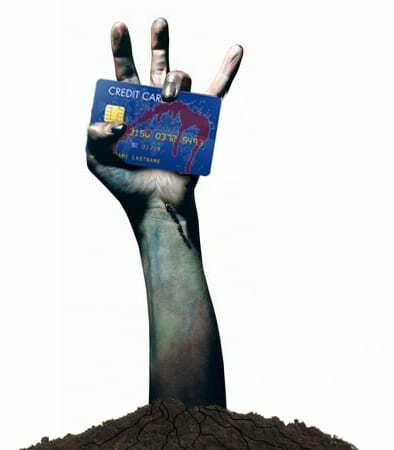 If you are not careful and educated about the realities of debt, you may find yourself in a scary position. Owing more than you earn or heaven forbid, not making your minimum payments (insert Hollywood scream here) is scary stuff to say the least. I want you to know you don’t have to be afraid. Debt doesn’t have to scare you. Dealing with debt is what we do at The Merna Law Group. We do financial exorcisms every single day. We shine a bright light in closets and under the beds of people understandably afraid of what may be lurking in the uncertainty of financial life in America. Thankfully, we live in a country that cares about individual rights and provides options for dealing with debt through bankruptcy. That alone should make you feel a little better. If you ever need help dealing with the fear of debt, remember The Merna Law Group can help you. Our financial evaluation is a great place to start. Have a safe, fun and Happy Halloween. After-all, our imagination is almost always more scary than the facts. The fact is… you do have options.